When it comes to buying a house, there are several factors to take into consideration that help you make the right choice. From location and accessibility to infrastructure and social amenities, the aspects that describe a quintessential abode are endless. However, the right home for you is not one that just suits your needs and requirements, but also one that matches your personality. One such property that is the physical embodiment of the saying “neighbour’s envy and owner’s pride” is the impeccable 38 & Banyan, developed by the Assetz Group. Here’s why 38 & Banyan checks all the boxes when it comes to urban living. 38 & Banyan is located near Indiranagar – one of Bangalore’s most popular residential and commercial hubs. This thriving neighbourhood is situated in the heart of Bangalore. Two arterial roads – 100 Feet Road and Chinmaya Mission Hospital Road (CMH Road) – run through this area allowing residents to enjoy unlimited connectivity to all part of Bangalore. The Bangalore International Airport is an hour’s drive away from Indiranagar making it convenient for frequent flyers. Additionally, living near the spectacular neighbourhood of Indiranagar gives you unmatched access to leading hubs of the city through well-connected roads and railways. The Purple Line of Bangalore’s Namma Metro runs through two stations in Indiranagar – at CMH Road and Swami Vivekananda Road. Indiranagar also maintains a bus depot through which BMTC buses connect the locality to other parts of the city. Indiranagar is one of Bangalore’s oldest and most sought-after localities because of its exceptional social infrastructure, and owning a house near it is a blessing on its own. The locality houses several start-ups and is filled with entrepreneurs and enthusiastic, hardworking people from all walks of life. As a microcosm of Bangalore, Indiranagar is home to a highly cosmopolitan community of people. With renowned medical organisations, educational institutes and top-notch entertainment zones peppered in the region, you can be rest assured of your family’s well-being. Apart from these amenities, Indiranagar also offers a host of entertainment options – from eateries to restaurants, pubs, shopping malls and much more. You can find anything you need in this neighbourhood, at just a stone’s throw away. Furthermore, 38 & Banyan is located right next to the DRDO office, making it a landmark to live in. As a resident of 38 & Banyan, you will be privy to some of the most exclusive amenities possible, reflective of a luxurious lifestyle. Indulge yourself in the massive 105 sq.m infinity pool that includes a kids’ pool. Treat your senses and be blown away by our impressive amphitheatre, or enjoy a quiet moment in the comfort of our reading lounge. Exclusive and posh don’t begin to cover the magnificence of 38 & Banyan. 38 & Banyan is the perfect potion of art and science coming together. Each of the 38 apartments delivers a unique experience to dwell in. This particular project by Assetz Home is built around a 150-year-old banyan tree, giving the residence its designative moniker. 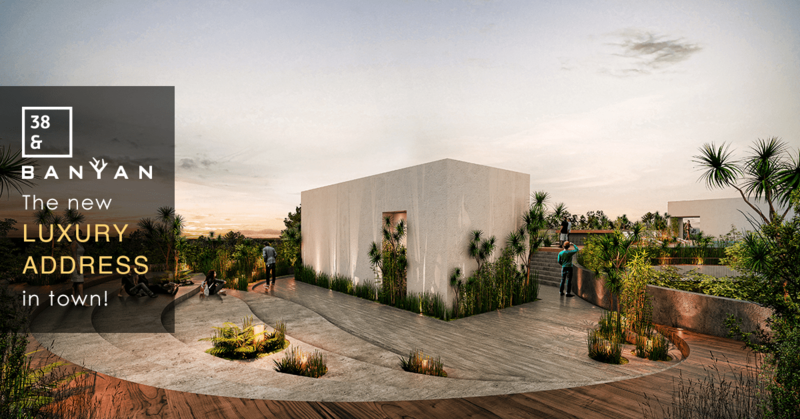 Divided into 29 3BHKs and nine 4BHKs, each of these luxurious apartments will provide occupants with plenty of fresh air, natural light and 70% of open space. Plush furniture and minimalist designs make up the interiors of these homes that exude a calm and relaxing environment. Feel yourself being surrounded by nature and greenery both indoors and outdoors. All bathrooms are fitted with high-end sanitary fittings and fixtures and classy interiors, making your space look like a page out of a design magazine. After all, life is too short to live in a boring building. 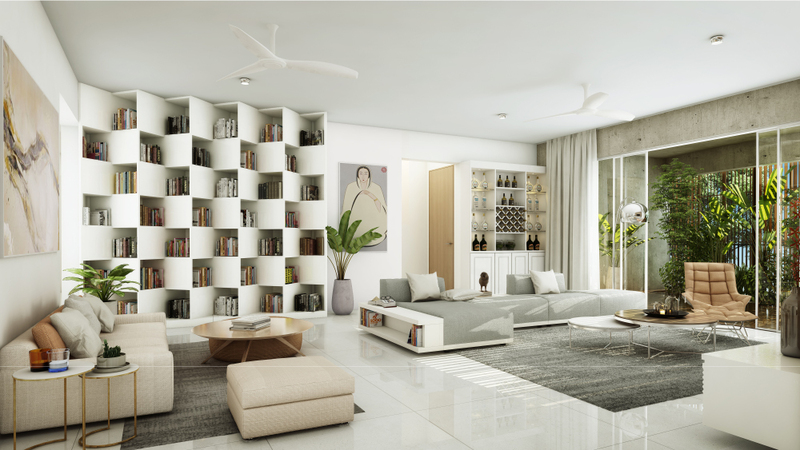 To add to that, 38 & Banyan is located in a residential neighbourhood with no other high-rise buildings around, letting in ample amount of sunlight and ventilation. Buying a home is not always a straightforward process; it is done after a lot of research and careful consideration. One important aspect you must take into account is the credibility of the builder. The Assetz Property Group is one of India’s most prestigious property developers and a household name in the city of Bangalore. With several prominent projects under their belt, you can be rest assured that investing in an Assetz property will be the best option for you. At 38 & Banyan, not only will you own the newest luxury address in the fast-paced and vibrant city of Bangalore, but you will also be a part of the Assetz Group’s spectacular legacy. 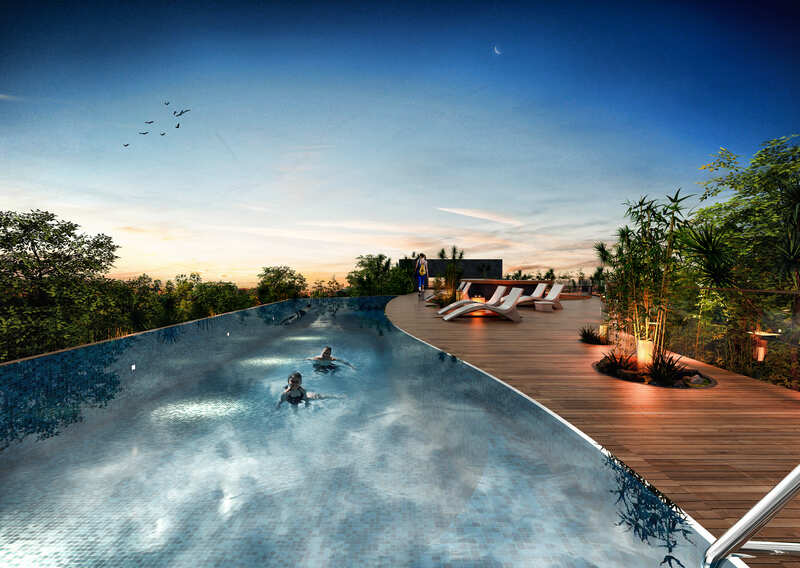 Backed by a credible developer, sustainable and stunning design, scenic landscape and more, 38 & Banyan is the perfect choice for anyone looking to live an upgraded lifestyle. Look no further than this architectural marvel for your new residence. Head out to Assetz today to find your dream home.